Each capsule contains a blend of nutrients to support the many needs of growing kids. 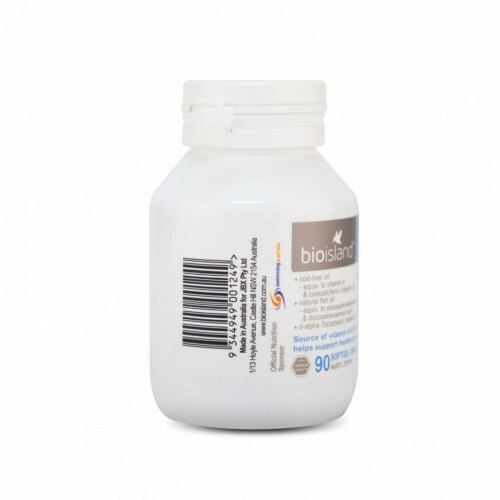 Fish oil contains vital omega-3 unsaturated fatty acids DHA & EPA, which can only be sourced through diet. 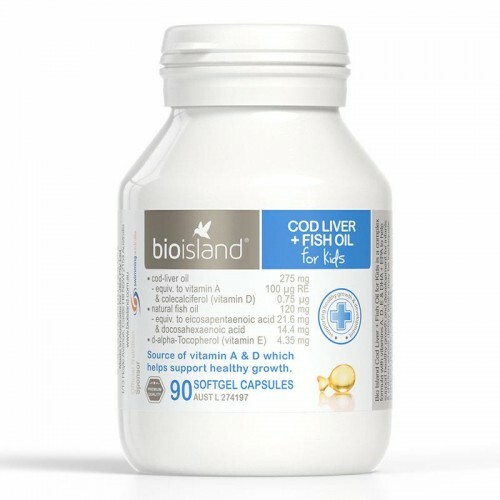 Cod liver oil is a rich source of vitamins A & D. Vitamin A, with added vitamin E, plays a role in immune mechanisms and vitamin D plays a role in the body in calcium absorption. 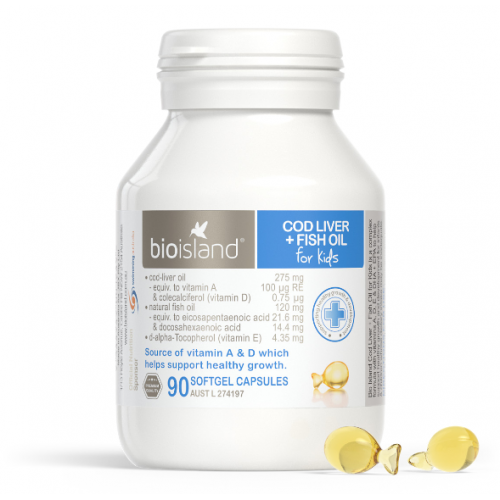 Bio Island Cod Liver + Fish Oil is suitable for use by young infants from the age of 4 weeks. 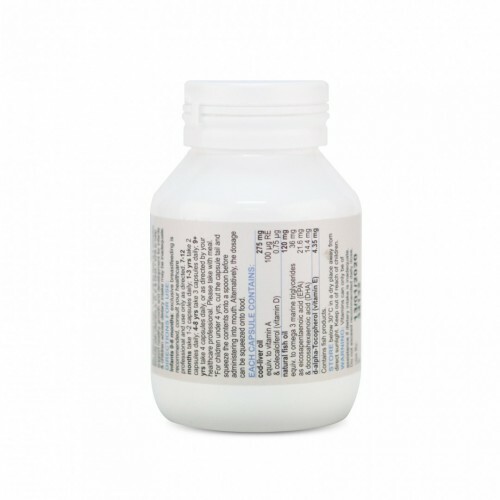 5-9 years take 3-4 capsules, or as directed by your healthcare professional. Please take with meal.